A letter from Capt. 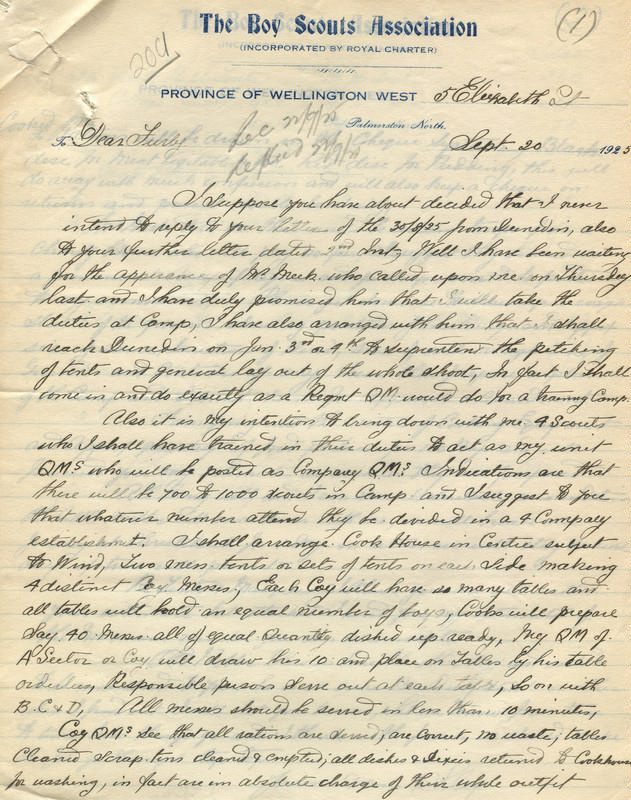 Slipper to Major Furby, the General Secretary in Christchurch on various detail issues relating to the 1st Dominion Scout Jamboree to be held in Dunedin. Capt. Slipper was the Jamboree Quartermaster. The interesting thing to note however is the letterhead which indicates the letter coming from the Province of Wellington West, Palmerston North. 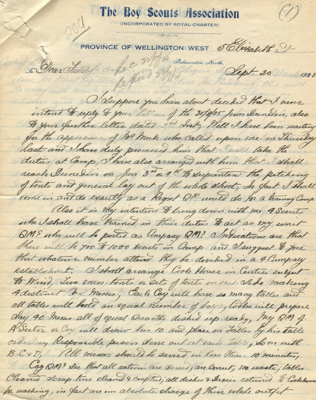 In the early days Wellington Province did extend well up the North Island, and this letter helps indicate that.